Rara Lake Trekking, a moderate walk with an adventure into high hills and scenic passes with overwhelming panorama of snowcapped peaks and stunning landscapes views to reach at simmering Rara Lake, which is country largest Lake located Far North Western Himalaya close to Api and Shaipal mountains. An impressive journey where you will be within pristine and undisturbed environment away from main stream flow of trekkers in complete tranquil on daily walks to Rara Lake Trekking which lies in between remote areas of Jumla and Mugu districts, once an earlier major kingdom of Nepal where the main language Nepali originated from this ancient land around Rara and Jumla areas. Rara Lake within Nepal smallest National Park of small area covering 106 sq.kms which is about 371 k.m. away from the capital Kathmandu as per flying distance with average altitude ranges from 1,800 m to above 4,000 m high offering stunning views of the country with snowcapped peaks of high western Himalaya range. Rara Lake trekking leads you to enchanting coniferous woodland dominated by blue pine, black juniper, West Himalayan spruce, oak, Himalayan cypress and other associated species. At about 3,350 m, pine and spruce fades away to fir, oak and birch where some rare wild-life habitats like the endangered musk deer, Himalayan black bear, leopard, ghoral, Himalayan thar and wild boar. Snow troutthe only fish species recorded in the lake with many species of water birds resides around the lake short withgallinaceous birds, great - crested grebe, black-necked grebe, and red-crested pochard are seen during winter. Other common birds are the snowcock, chukor partridge, Impeyan pheasant, kalij pheasant and blood pheasant. Starting this marvelous Rara Lake Trekking taking a scenic smooth flight towards Nepal far south west at Nepalgunj city around sub-tropical areas, and then flying high to land at Jumla where our adventure begins to Rara lake entering into remote lovely farm villages and into deep woodland. On reaching our main highlight of the journey at Rara Lake enjoying a day with magnificent views of surrounding beautiful scenery and then walking back to Jumla taking an alternative route through high pass of GhurchiLagna pass 3,480 m offering superb panorama of mountains and landscapes and then finally ending our outmost adventure Rara Lake trekking taking an exciting flight back to Kathmandu. 1 Day 1: Arrival in Kathmandu and transfer to hotels.On reaching Kathmandu Tribhuwan International Airport where you will be warmly received by our guide and staff and then transfer you to your respective hotels in the hub of Kathmandu city. First check into your hotel rooms on getting refreshed from the flight and with Jet-Lag, then join with other members of Rara Lake Trekking for briefing, where our expert guides will inform regarding your stay in Nepal, hotels, trekking, local lodge-camping with do’s and don’ts information, evening welcome group dinner in authentic Nepalese restaurants with Folk cultural programs to entertain you during your meals. 2 Day 2: Morning sightseeing tour in Kathmandu afternoon flight to Nepaljung.Morning after breakfast leave the hotel for exciting guided sightseeing around Kathmandu where our city guide will lead you to places of interest, Kathmandu a metropolitan city still retains its ancient heritage and varied ancient culture where you will visit world heritage sites around Kathmandu for half day. After an interesting and wonderful tour of ancient historical and religious sites around Kathmandu, afternoon flight to Nepal Far South West to land at warmer sub-tropical city of Nepalgunj and then transfer to nearby hotel with afternoon free preparation for next day journey to Rara Lake Trekking. 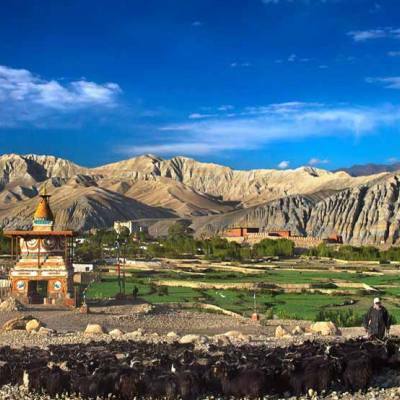 3 Day 3: Fly to Jumla 2,475 m then walk to ChauriyaChaur 3,055 - 05 hrs.After a pleasant overnight stop at Nepalgunj city, morning transfer to the airport scenic short flight to land at Jumla, a headquarter town of wholeJumladistrict, populated mostly by Malla Thakuri and Roka Chettries of Hindu religion. AtJumla with time to explore this interesting hill town, and then starting our first day trek to reach further north to ChauriyaChaur village for overnight stop and camp. 4 Day 4: Trek on route Bota via Jaljala pass at 3,585 m - 06 hrs.After a peaceful and tranquil overnight stop on high hills aroundWestern Nepal, morning walk starts with an uphill climb into rhododendron, birch and pine tree forest heading to the top ridge, which is a small pass called JaljalaBhanjyangat above 3,585 m high with superb views of Kanjiroba Himal and Api-Shaipal including panorama of dramatic beautiful landscapes. Continue walk into serene wilderness with downhill for few hours to reach a summer pasture for overnight camp on grassy field in the middle of nowhere. 5 Day 5: Trek to Bota 2, 680m via SinjaKhola2,440 m -06 hrs.Morning walk on downhill to Sinja area for few hours following JaljalaKhola (stream) downstream within forest of pine trees and then towards terraced farm areas to reach atSinja village (an old kingdom during Malla times), where you can notice the ancient rundown and ruin temples with monuments, old sculptured stones, covered in thick moss and weeds. From here walking upstream to a small village of Ganj, after a nice stop continue walk through an interesting gorge to overnight stop at Bota village. 6 Day 6: Trek to Ghorasinga 3,050m near Rara Lake - 06 hrs.After steady walk for several days, a pleasant walk this morning to Ghorasinga near the entrance of Rara National Park, on leaving SinjaKhola following a stream of GhatteKhola further north, then a short climb to reach a wonderful valley with farmlands and interesting primitive water mill. From here walk to overnight camp at Ghorasinga on the outer rim of Rara National Park with a small police post, afternoon at leisure for short walk or just relax and catch up with the dairy. 7 Day 7: Trek to Rara Lake 2,980m - 06 hrs.Walk this morning leads to our main highlight and destination at Rara, within Nepal’s largest Lake, walk leads into pristine and peaceful area with uphill to reach at ChuchemaraDanda above 4,260 meters high with super landscapes and snowcapped mountains views. From here descend into forest of bamboo and birch trees, crossing KhatyarKhola upstream to reach our destination at Rara Lake for overnight stop, around RaraLake with few lodge and guest housessituated by the main lake side. 8 Day 8: Rest day for excursion around the lake.A perfect spot for rest days, morning with ample time to explore around this scenic area where few trekkers seldom venture around this pristine surrounding, at the lake side climb a wooden tower for grand and best views of Rara Lake with surrounding beautiful rolling green hills and snowcapped peaks. 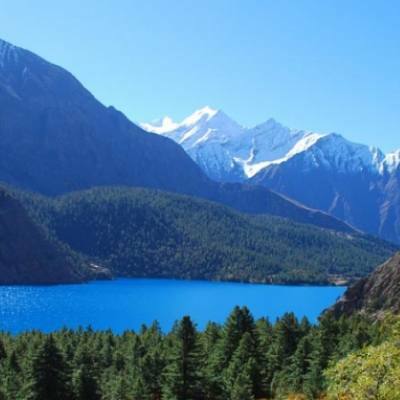 9 Day 9: Trek to Pina 2,440m via Jhyari 2,635 m- 05 hrs.After an enjoyable and relaxing time at Rara Lake, return trek to Jumla leads via high route, morning starts with a climb walk to a ridge at Jhyari with a small farm village. From here following JhyariBeriKhola downstream for a short while and then crossing DhauligarKhola valley, towards our overnight camp at Pina another nice small farm village with few moderate size houses serving as lodge, tea shops. 10 Day 10: Trek to Chauta 2,807 m via GhurchiLagna pass 3,480 m.Morning walks leads uphill into serene woodland with gorgeous vista of mountains, and then reaching at Ghurchi- Lagna pass the highest point of this wonderful trek, the top festooned with Buddhist prayer flags, walk descends across a nice grassy meadow into walnut groves heading to a steep and narrow valley to Chauta village for overnight stop, a small place with few shops, simple lodges. 11 Day 11: Trek to Khaligaon 3,685 via Tharamara3,270 m - 06 hrs.After a pleasant and interesting time at Chauta village, morning trek follows Sinjakhola to Bumra village leading past overhanging rock at Kamra, this is a source of an important herbal medicinal mineral called as Silaji. From here a long descend to SinjaKhola, walking past Nyawre village, with a refreshing stop, continue walk following the river with 600 m climb to Tharamara ridge top and then heading higher at Khaligaon with fabulous views of surrounding dramatic landscapes with snow clad peaks overnight on this nice Khaligaon village. 12 Day 12: Trek back to Jumla - 06 hrs.Today last day of walk of this marvelous adventure as our route leads back to Jumla, morning starts with long downhill walk to reach a green valley lined with rhododendron, oaks and pines trees, on leaving the forested area back into fertile farm country with well-tended terraces, walk leads past several smaller villages of Padmara and then following the same river for some time leading to Jumla town for last overnight. 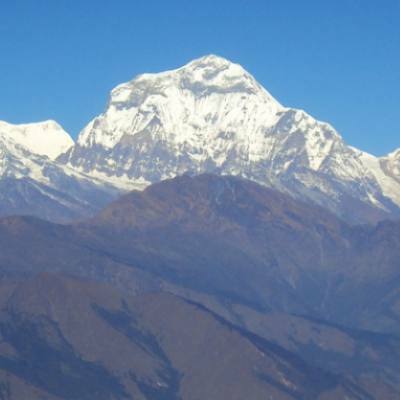 13 Day 13: Fly to Kathmandu via Nepalgunj.Morning transfer to Jumla airstrip for the flight to Nepalgunj, after boarding in small aircraft where short flight brings you atNepalgunj for connecting flight of 50 minutes to reach back at Kathmandu. On reachingat Kathmandu airport, thentransfer to your hotel with rest of the day at leisure with grand memories of Rara Lake trekking. 14 Day 14: Spare and free day in Kathmandu for individual activities.Reserved this spare day in Kathmandu as contingency in case of flight delay and cancellation at Jumla can happen sometimes due to bad unfavorable weather conditions if all go well according to our itinerary days, enjoy the day with individual activities and shopping. 15 Day 15: Depart for international flight home ward bound or to respective countries.Your last memorable day in Nepal after a wonderful experience and adventure on Rara Lake Trekking with great service of Explorer Adventure, and as per your international flight then transfer to Kathmandu international airport for homeward bound or to your respective destinations. Highest elevation gain: At DapheLagna 3,691 m high. 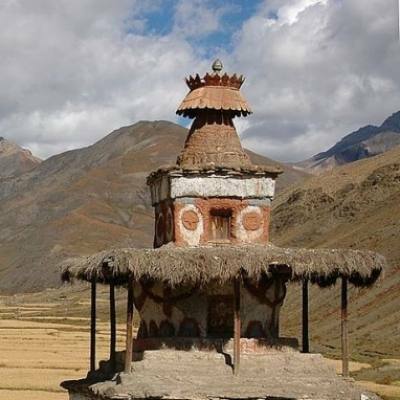 Region of Journey: Nepal Far North West Himalaya between JumlaΜgu; districts. People and Culture: Malla Thakuri-Chettri people with Magar hill tribe of Hindu relegion.